Experience the charm of fine dining in one of the world’s most remote settings at the Inn, or savor a hearty meal in a casual atmosphere at the Ranch. Satisfy your appetite in the elegant Inn Dining Room or the more family-friendly offerings at the Ranch. 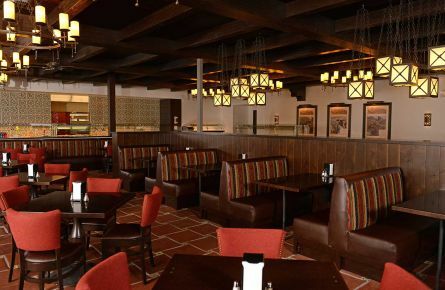 From mid-October to mid-May, golfers also have the option of dining at the 19th Hole, a unique, veranda-style bar and grill adjacent to the Golf Shop. 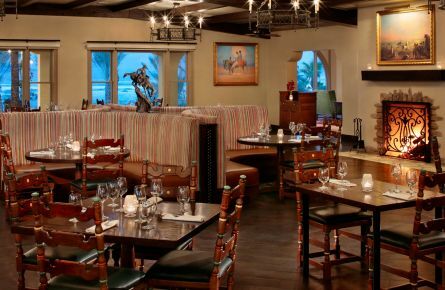 Please contact the property at (760) 786-2345 for seasonal hours of operation in all restaurants. One of the crown jewels of the 2018 revitalization efforts at the historic Ranch at Death Valley, The Last Kind Words Saloon brings the West of old to Death Valley. 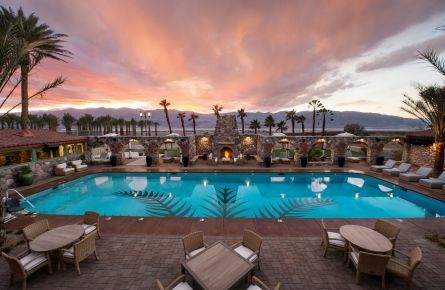 The Inn Dining Room offers fine dining with stunning views of the desert salt pans and the majestic Panamint Mountains. Featuring sandwiches, wraps, salads, sides, and assorted beverages, the Pool Café is the perfect place to grab a bite without having to stray too far from that perfect spot on the edge of the pool. 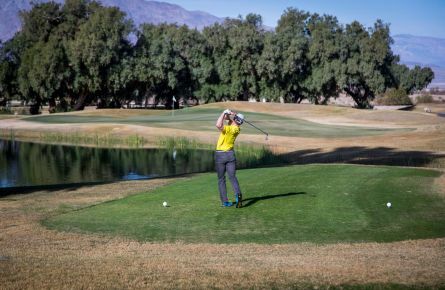 Hit the links and then reward yourself with a burger or sandwich in a casual atmosphere overlooking the golf course. 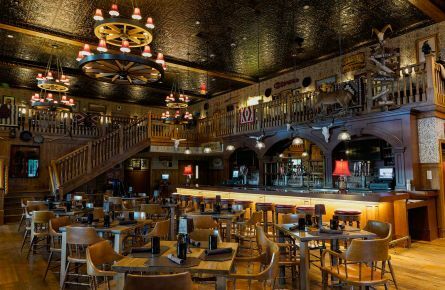 The 1849 Buffet is located in the middle of the Town Square at the Ranch. Open for breakfast, lunch and dinner.